Hall Communications, Inc. was established in 1964 and currently runs 4 radio stations in New London County including the following stations and formats. WICH-AM, Full Service Radio featuring Glenn "Glenn till 10" O'Brien in the morning and Stu Bryer Middays; WCTY-FM, Hot Country Favorites with Jimmy Lane and Shelly Martinez in the mornings, John Knight middays & Dave Elder in the afternoons; K*HITS-FM Classic Hits with Chris Dillon mornings, Kevin Palana middays and Keith C. Rice in the afternoon and Fast Jimmy on the weekends; and eastern Connecticut's home for "Everything that Rocks" with WNLC-FM . All these stations reach an adult audience in a wide range of demographics. 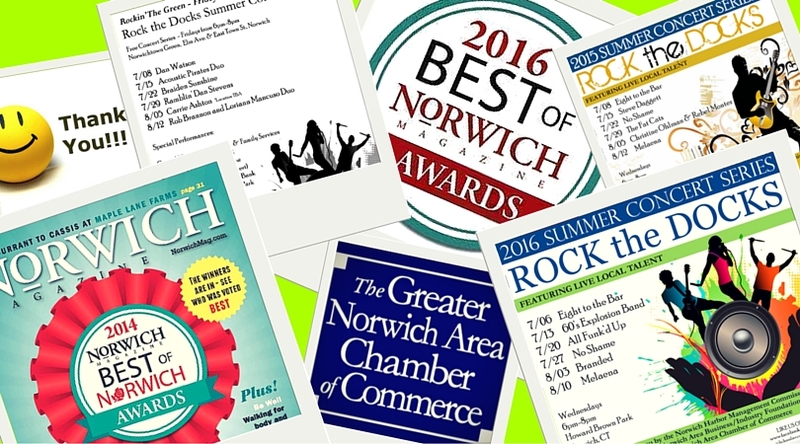 Hall Communications Radio Group has been a member of the Greater Norwich Area Chamber of Commerce since 2004. Office hours for business and prize pick up: Mon - Fri, 9am -5pm. Closed on holidays. ​All Public Service Announcements/Press Releases, should be mailed on organization letterhead to the station or email us at community@wcty.com or apelletier@hallradio.net. Office phone number: 860 887-3511. WICH Studio phone number: 860-889-5252. ​Proud Sponsor of the Rock the Docks Summer Concert Series! !